For over a quarter of a century, Shimano has held an unwavering reputation for producing some of the most functional and durable clip-in mountain bike pedals on the market. Curiously, the dominating popularity of its SPD system hasn’t exactly translated through to its flat pedal range though. The previous Saint MX80 wasn’t a bad flat pedal. 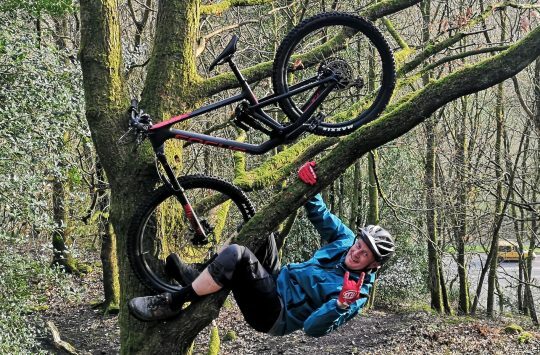 We published a longterm review (as in, 3-years of abuse) of the MX80, where we praised the durability of Shimano’s cup & cone bearing system, but lamented the small-but-thick platform and below-par traction levels. Given how many great flat pedals are already out there (and there are a lot), Shimano realised it had to do better. And so a bit over a year ago, the Japanese brand unveiled the fully redesigned Saint M828 flat pedal. 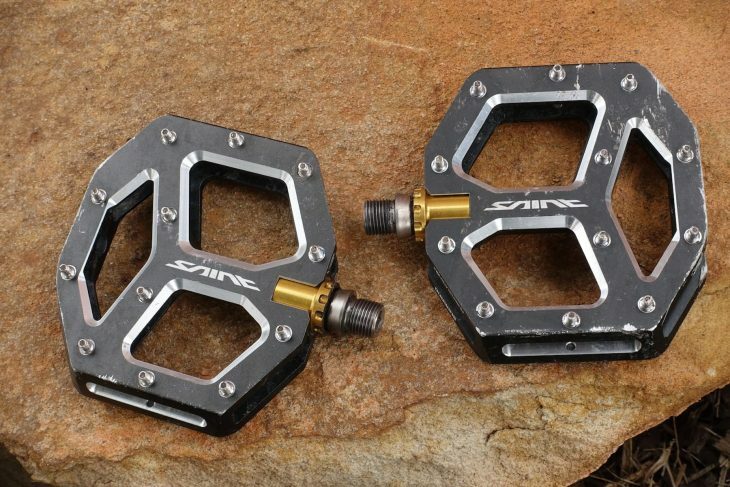 Shimano’s latest Saint M828 flat pedals are a big step up from the last iteration. 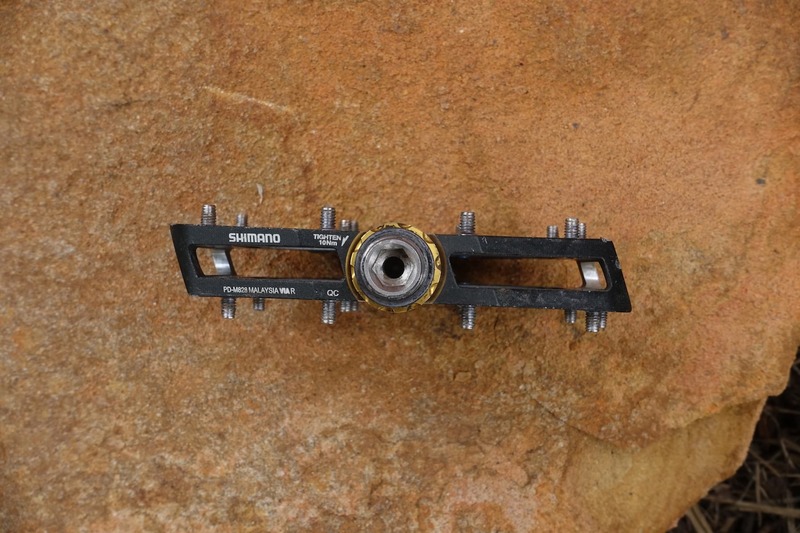 At the same time, Shimano also released its first ever Deore XT flat pedal. I tested and reviewed those last year, and they performed well in a utilitarian type fashion. I like that Shimano offers two different sizes in the XTs, with the larger of the two offering a big platform with loads of support. And the bearings were also solid and easy to rebuild. But the platforms were quite thick (18mm at the centre, 20mm at the front and back), which meant I smacked them around a lot, bending pins and fatally damaging a couple of the threaded bores in the process. Though the Saint M828 shares some common features with the XTs, there are some notable differences. The forged alloy platforms are about as thin as Shimano can possibly make them. For a start, the bodies are less bulky. Measuring 16.4mm thick through the centre, they’re a lick thinner than a set of DMR Vaults (17mm). However, they’re still thicker than Hope F20s (15mm), Gamut Podiums (10mm), and OneUp flats (8.3mm). Part of this is due to Shimano’s axle and bearing system though, which we’ll come back to. Want to see more flat pedal reviews? 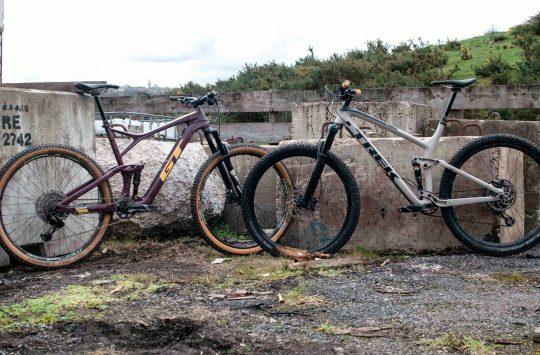 Then check out our 17-pedal group test right here! 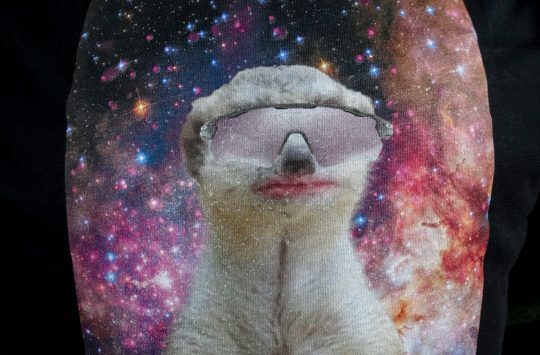 This is all well and good, but what happened to Wil’s moustache?